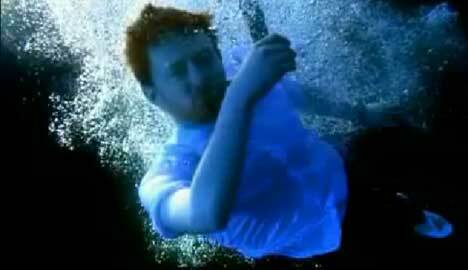 When I was 21, I came within five seconds of drowning. As I was going down for the third time, I looked to the shore and realized that this, my last moment, was the most lucid moment of my life. Everything else was a cartoon. Unreal. Fake. In the state I was in, only one thing was certain. I wanted to live. And in that moment, which felt like my last, something extraordinary took over -- way beyond my exhaustion -- and got me to the shore. It swam me, until I -- completely out of breath -- could finally stand. 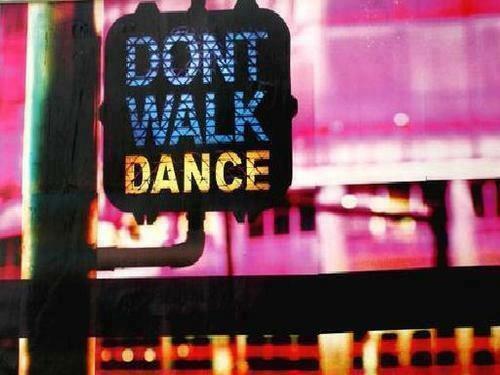 And when I did, I fell to my knees and kissed the ground. I cried. I sang whatever children's songs I could remember. I laughed. In that moment of pure exaltation, I had no philosophy, no religion, no politics, no family, no friends, no future, no past. Only the simple joy of being alive. When I think about my teacher, Prem Rawat, and the experience he has shown me, it feels much the same. In such a simple and loving way, he has connected me not only to the will to live, but to the primal force that moves me. As my teacher, he has taught me how to be a student. 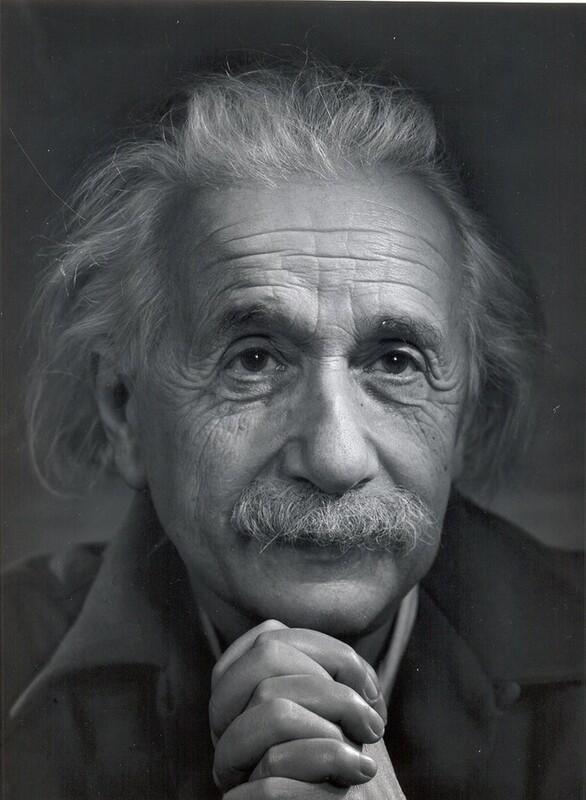 And as his student, I have learned that it doesn't matter what I know, but who I am. Or more correctly, what I am. It's what the poets pray to feel, so finally they'd have something worth writing about. When I feel it -- and I do a lot -- I am happy for no reason at all. Happy like someone on permanent vacation. Completely alive. Grateful to the max. Content in a way that requires no action to prove itself whole. Unconditional love it is. No strings attached. First kiss. Second chance. Unexpected snow day. Home for the holidays. More fun than I've ever had and absolutely nothing is happening. Just the peace that passes all understanding -- even when my hard disk crashes. Who is the one who showed me what it's all about I cannot say. All I know is this: When I'm with him, I never want to leave. And when I do, it's like starting over once again -- whatever I once was being left behind like a second skin. I am refreshed, renewed, re-awakened once again. Here's a fun musical slide show announcing Prem Rawat's July 29th event in Long Beach, CA. Everything else: Stuart Hoffman, Jennifer Edwards, and Hannah Blake. 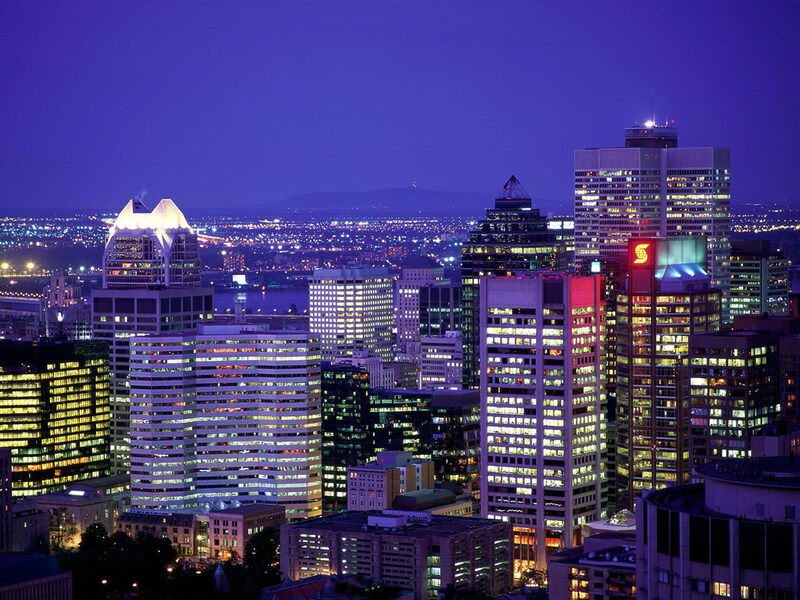 Beautiful 3-minute slide show (with French sub-titles) announcing Prem Rawat's upcoming event in Montreal. Music and show produced by Stuart Hoffman. Click here to request an invitation. Here are some brief excerpts of Prem Rawat's May 31st talk in Munich, Germany. If his message speaks to you, feel free to request an invitation to one or more of his July/August events in North America. His events are open to everyone. Admission is free. 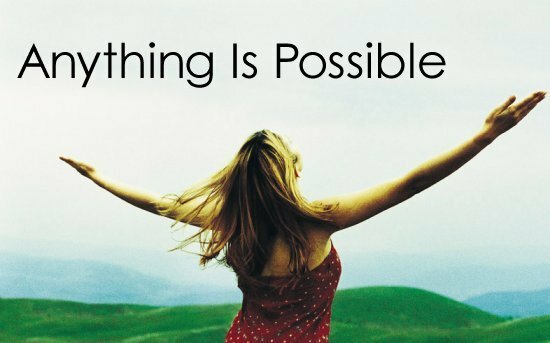 If you live within 10,000 miles of Denver, Colorado, you might consider attending an inspiring event there on July 22nd. That's when Prem Rawat will be speaking about his timeless message of peace. Open to everyone. Admission is free. To request an invitation. Prem Rawat will also be speaking in Toronto, Montreal, Washington, DC, Chicago, Los Angeles, and Asheville. 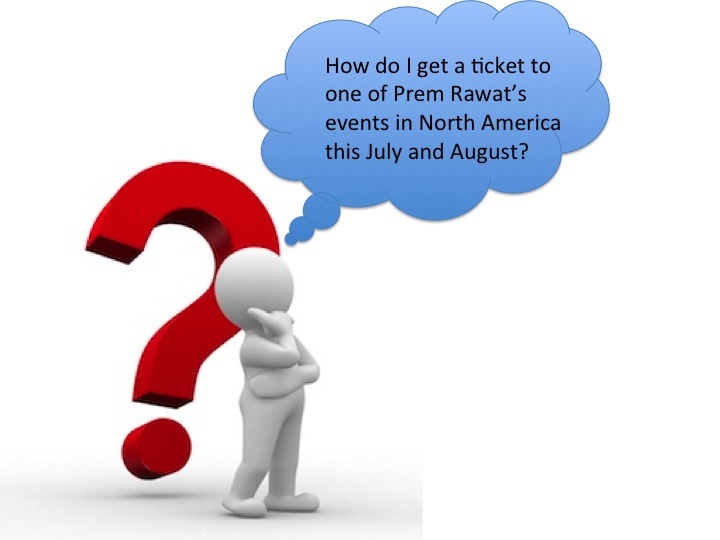 I just got an email from a friend who is interested in attending one of Prem Rawat's events in North America this July, but was confused about how to get a ticket. 1. Click this link of confirmed events. 2. 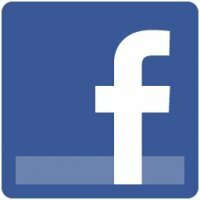 Scroll down to the event you want to attend. 4. Click "Request an Invitation" and follow the instructions. 5. Space allowing, you will receive a confirmation, via email. NOTE: If you want to let someone know about Prem Rawat's upcoming events (Toronto, Montreal, Washington, DC, Chicago, Los Angeles, Asheville -- and soon-to-be-announced, Denver), simply click the "Tell a Friend" button on any one of the event announcements. 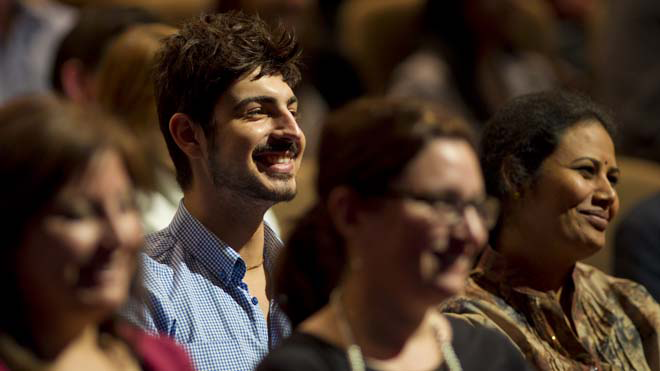 Prem Rawat's message of the peace helps people live fully in the moment. Not yesterday. Not tomorrow. 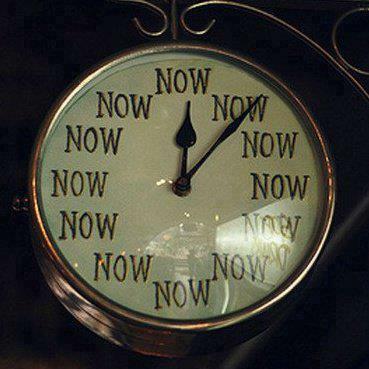 NOW -- the only time there ever is. Hear him speak in Toronto, Montreal, Washington, Chicago, Denver, Los Angeles, and Asheville this summer. The events are open to everyone. Admission is free. If you want to attend, please request an invitation. Simply click the city of your choice. 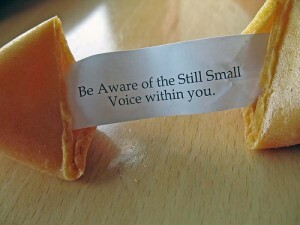 Space allowing, you will receive a confirmation, via email. Montreal, consistently rated one of the world's most livable cities, will hear a little more about what makes life livable on July 11th. That's the day when Prem Rawat will be addressing an audience of 2,300 people interested in learning more about his much-celebrated message of peace. If you want to attend, you will need to request an invitation. Admission is free and the event is open to everyone. I like the way Prem Rawat's upcoming North American tour is being announced on Facebook -- an elegant way of getting the word out via social media. Feel free to invite your Facebook friends to any of the pages below or to this page on the Words of Peace Global website that lists Prem Rawat's upcoming events for Europe and North America. 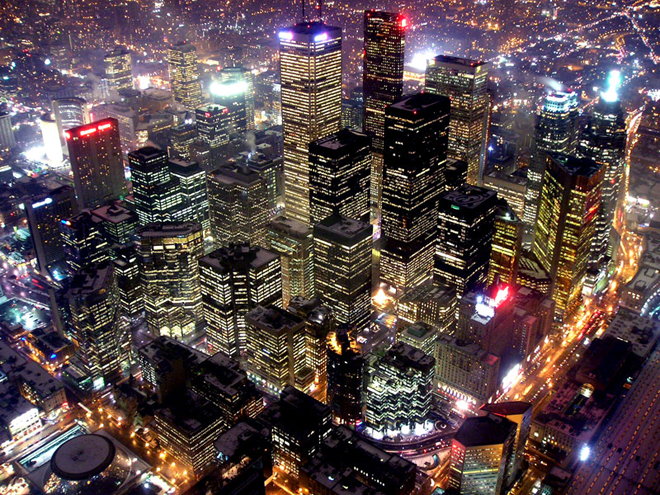 Toronto is one of the world's most diverse cities, with about 49% of the population born outside of Canada. On July 8th, residents of that fine city, along with lots of other people, will get a chance to hear about what they all have in common -- regardless of birthplace, language, or religion. 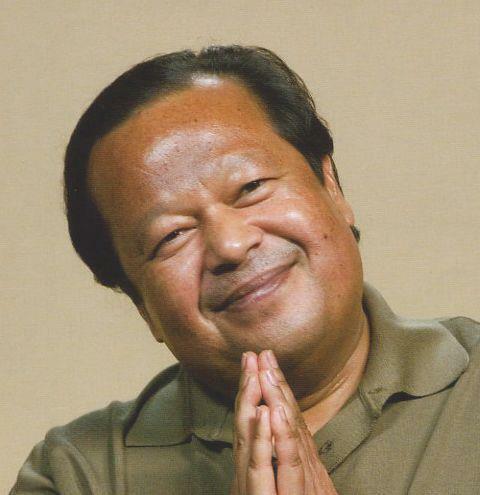 That's the day Prem Rawat comes to town to speak about a simple way to find personal peace. Admission is free and the event is open to everyone. To request an invitation, click here. Or here. Or here.